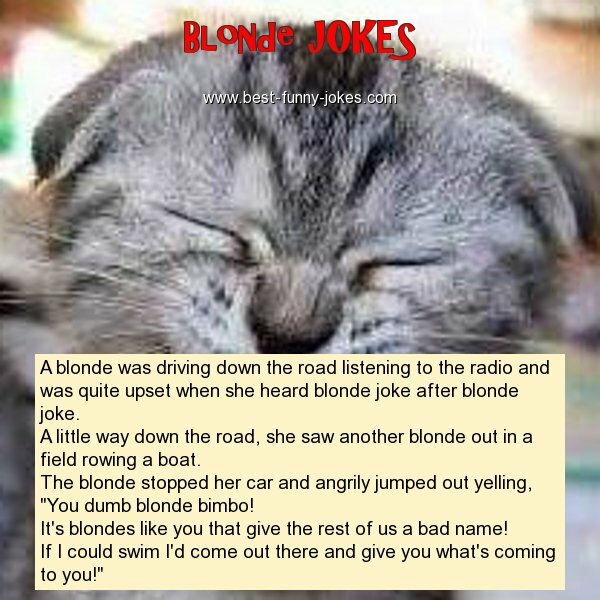 A blonde was driving down the road listening to the radio and was quite upset when she heard blonde joke after blonde joke. A little way down the road, she saw another blonde out in a field rowing a boat. The blonde stopped her car and angrily jumped out yelling, "You dumb blonde bimbo! It's blondes like you that give the rest of us a bad name! If I could swim I'd come out there and give you what's coming to you!"